A letter changes everything in this dystopian Sci-Fi tale. The first few chapters of this book were background into the main characters life. It definitely dragged on a little longer than I felt was needed, but a lot of what was written about was important later on in the book. The book still puts the reader right into the story instead of making them work to figure out what is going on. I definitely feel like an entire “fake future/history” book could have been written about the world that Hendy created for this book. It seemed to be incredibly detailed in its creation and implementation. The main character, Jim has received a letter requesting his help. This sends him on a journey that becomes much more difficult than he originally thought. This book is a unique look into what could/would happen if different paths are taken in the future of politics. The book touches on everything including a look into what “family” really means and a look into politics run-a-muck. The policies and charters that were created within were different and unique. I felt like some people would feel like the book was difficult to read/follow at points. The level of English used in this was a bit higher than I think the average reader usually reads at. While I don’t think the details needed “dumbing down”, some of the larger English words would cause trip ups with an “average reader.” I never include things like this in my reviews, but I just wanted to warn some users to have your dictionaries ready. The path that Jim takes is an interesting one, and I’m glad that I read this book. It was a good addition to the Dystopian/Sci-Fi genre compared to the worlds Hunger Games and Divergent’s. The year is 2083, Europe has evolved into the worlds most powerful political and economic bloc; but it’s not Europe any more it’s Europa. Europa is the embodiment of centuries of hard-work to unite a disparate continent, where the state provides for everyone to ensure equality for all. An impending change to the law is going to prevent people from other blocs and countries from travelling to Europa; this comes at a bad time for Jim Maxwell, an ex-pat happily living in New York. Jim receives a message from his only living relative in Europa, she needs his help and fast. Jim duly set’s off for the land of his birth to help however he can. Meanwhile the Government is tracking down the leaders of dissident groups in advance of the ascension of the new President of Europa, David Vincent. When charismatic industrialist Paul Hetherington is detained for questioning it’s not long before his son Nigel who is away at university in Oxford finds his way on to their radar and the authorities in hot pursuit. 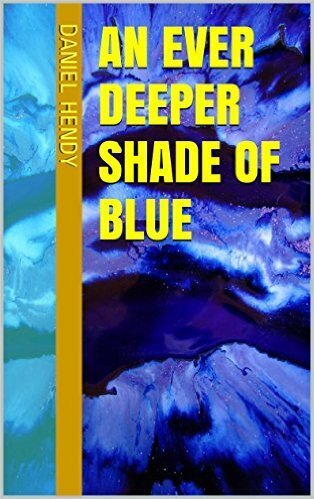 An Ever Deeper Shade Of Blue is a tale about the world of tomorrow and it’s people, technologies, politics and beliefs.